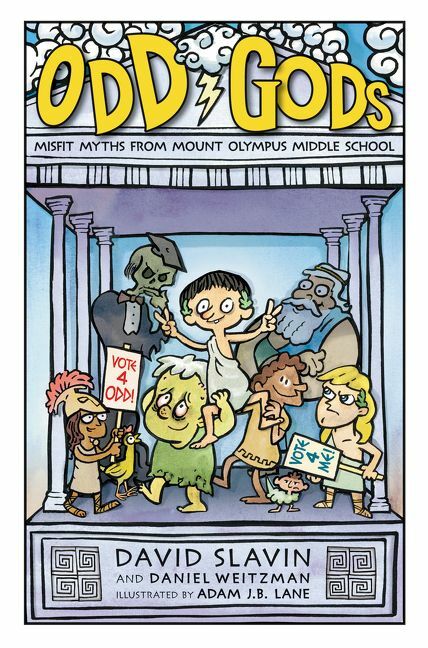 Diary of a Wimpy Kid meets Percy Jackson in Odd Gods, the first book in a hilarious illustrated series about the most unlikely, unusual Gods ever to grace the halls of Mount Olympus Middle School. Oddonis may be the son of Zeus, but he’s a little bit…odd for a God. He’s so odd, in fact, he’s not sure if he has any powers at all. And if that isn’t enough, his twin brother Adonis is the most popular, most athletic, and most otherworldly handsome God of them all. Oddonis’s future at Mount Olympus Middle isn’t looking bright, especially when he makes the last-minute decision to run against Adonis to be class president. With the help of his friends Mathena (Goddess of math and poultry), Germes (God of all things sniffling and snotty), Puneous (the smallest God of them all), and Gaseous (enough said? ), Oddonis is determined to win the race, prove that his friends are as good as any Greek God, and maybe, just maybe, find out what his true powers really are. 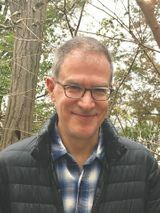 Read the hilarious new adventures of Oddonis and his friends from debut children’s authors David Slavin and Daniel Weitzman, filled with dozens of black-and-white illustrations by award-winning artist Adam Lane.